Over the years, Coltart has been threatened, detained, spuriously prosecuted and has survived several direct attempts on his life. As a young man, Coltart was urged by Robert Mugabe to return to Zimbabwe from South Africa, but he would become one of Mugabe’s favourite targets of vilification, branded a traitor to the state and worthy of remaining in the country only as a resident of one of its prisons. For three decades, Coltart has kept detailed notes and records of all his work, including a meticulous diary of Cabinet dealings, the source material for much of his book. 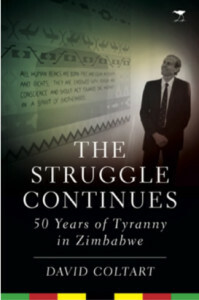 It is set to be the most authoritative book to date of the last sixty years of Zimbabwe’s history.